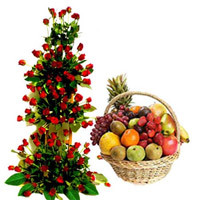 shall arrange fruits as per seasonal availability and locations. 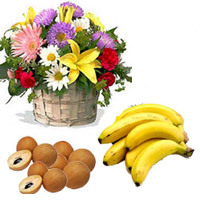 Fruit basket and container is indicative, shall arrange fruits as per seasonal availability and locations. 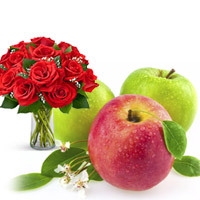 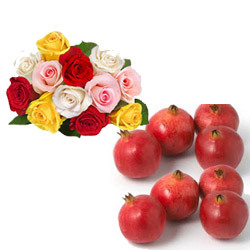 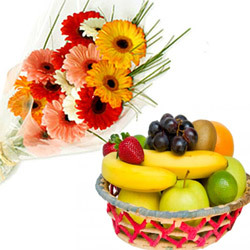 24 Red roses one side basket with Basket of 4 kg fresh mix fruits. Fruit basket and container is indicative, shall arrange fruits as per seasonal availability and locations. 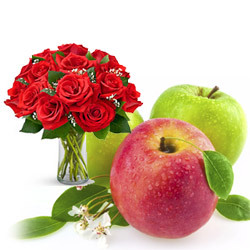 Container is indicative. 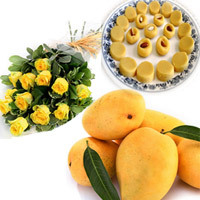 Order combos and gift baskets Online in Vijayawada, Birthdays are the days when we want to spoil our loved ones with all the love and attention and gifts, of course! 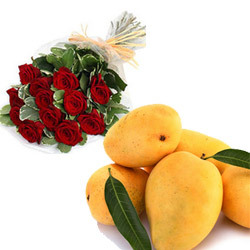 But the dilemma you face before buying a gift for someone, thinking whether they would like it or not is the spoiler. 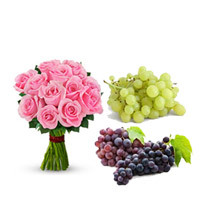 To put an end to all those gifting worries, you can now buy birthday gift hampers, anniversary gift hampers and then let the person choose their gifts. 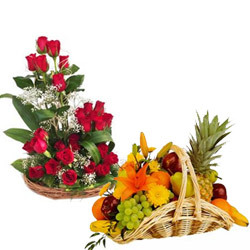 Or else, the safest option is always to buy birthday flower bouquets, because flowers can never go wrong.